In accordance with the family’s wishes public services will be held at Hohner Funeral Home of Three Rivers, MI on Tuesday, April 2, 2019 with public visitation starting at 9:30 a.m. and a funeral service starting at 10:00 a.m. with Pastor Aija Graham officiating. Interment will be held at Riverside Cemetery following the service. 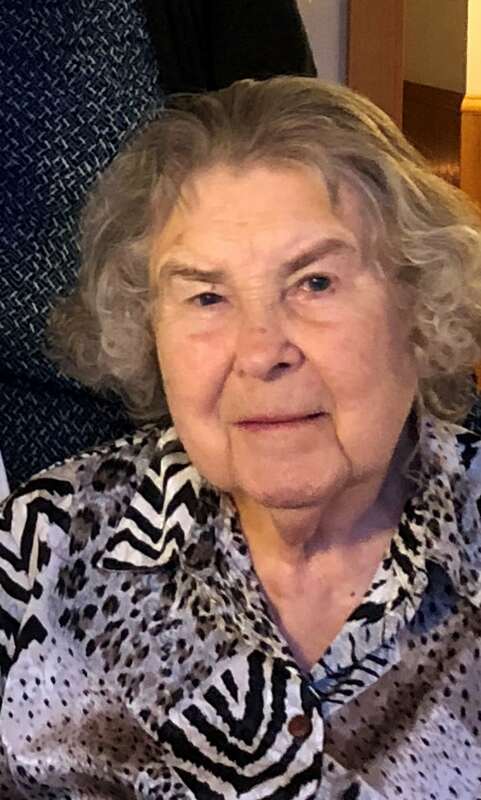 Lidija Aistars, age 91 of Three Rivers, Michigan passed away Monday evening, March 25, 2019. She was born in Kuldīga, Latvia on February 23, 1928 to Hermans & Anna (Mūrnieks) Kalnmals. She was preceded in death by her parents and her brother Rūdolfs Kalnmals. She is survived by her husband of 65 years Aivars, two children Valdis (Juli), Sarma (Peter) and five grandchildren Martis, Pauls, Krista, Benjamin (Betsy) and Daniel (Taylor); and great-grandchildren Evija and Joel. She was a member of the Latvian Baptist Church of Chicago for many years where she sang in the choir and taught Sunday School. She also taught at the Latvian School of Chicago. She enjoyed reading, growing flowers, traveling and singing in choirs. In lieu of flowers, the family has requested donations to either the Latvian Center Garezers or the Latvian Baptist Church of Užava (Latvia). I have many wonderful memories of Lidija, my sister-in-law. Though we were as different from each other as night from day, we were very close during the time we all lived in Chicago. We shared many adventures and laughs, and in more serious moments had many serious discussions. We also visited Latvia together, though, alas, that was during the time Latvia was still under Communist rule and bleak and dreary. We got special permission to travel by train from Riga to Ventspils, where we had relatives. We were accompanied by a Russianescort, so had to be very careful what we said. But we were used to it by then as there were microphones all over the hotel we stayed in in Riga. Lidija was such a caring soul, but very practical and organized, neither of which I am. But we were so close nevertheless. I have trouble believing she is no longer with us.